IEC Telecom will launch its Orion Edge+ satellite voice and data communication solution during this week's Sea Asia (April 9 to 11). Orion Edge+ provides high quality, reliable broadband with the ultimate cost effective operational benefits. It also provides flexible data plans with no long-term commitment. This flexibility makes Orion Edge+ ideal for busy offshore support vessels, tugs, and oil and gas contractors. 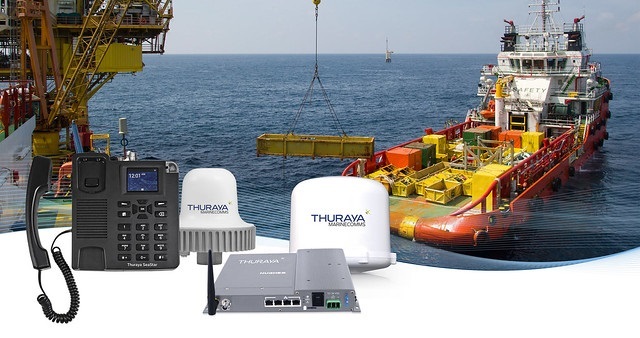 Powered by Thuraya's Orion IP broadband and Thuraya's Seastar circuit switched voice terminal, the Orion Edge+ solution offers high quality voice and data services bundled with consumption monitoring tools and controlled welfare applications - all regardless of vessel size. Crew welfare needs are enhanced by local Wi-Fi management which enables vessel and offshore platform managers to provide crew with access to social media platforms and the internet, with safety maintained by high level security systems. Access is granted via an advanced captive portal and consumption can be managed via vouchers or scratch cards for crew members. Thanks to IEC Telecom's integrated solutions, this is possible even for small vessels that cannot accommodate a VSAT antenna.